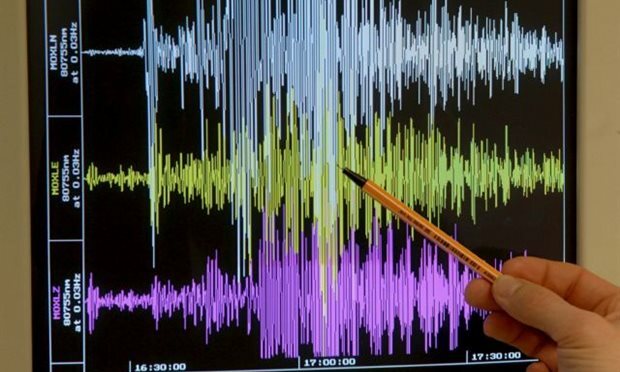 Eight in ten Greeks are potential victims of earthquake tremors, while Greece ranks tenth to be potentially hit by a tsunami, a study says. The study is conducted by the Joint Research Centre of the European Commission and is called Atlas of the Human Planet 2017. According to the study, 80 percent of the Greek population are at risk of being earthquake victims. More than 170 million Europeans are exposed to an earthquake threat, nearly a quarter of the European population, with the largest proportion in Italy, Romania and Greece. In addition, Greece is ranked 10th in the world as potentially affected by tsunamis. In the European ranking for flood risk, Greece ranks low, in 21st place, with 145,000 inhabitants threatened or only 1% of the national population. This is the smallest percentage in Europe (along with Portugal and Ireland), but the number of Greeks threatened by flooding has increased by 44% between 1975 and 2015. This is the largest percentage increase in Europe over the past 40 years, along with the Netherlands where the proportion of flood-dwellers also increased by 44% between 1975 and 2015.